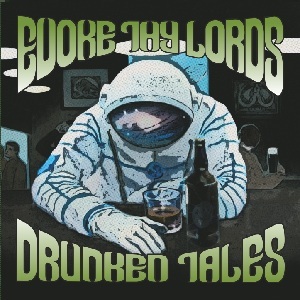 Evoke Thy Lords: DRUNKEN TALES вышел на Solitude Productions! DRUNKEN TALES вышел на Solitude Productions! Solitude Productions proudly presents the second full-length album of Evoke Thy Lords released after the long pause in group activity. This time the Siberian musicians dramatically change their sound and style positioning themselves among the most interesting and original bands of the Russian doom metal scene. The renovated Evoke Thy Lords include solid guitar sound, powerful groove base and meditative trance dressed with hypnotic flute sounds. Filled with extra heavy riffs and psychedelic elements “Drunken Tales” is undoubtedly an event in stoner doom metal. The bonus track “Cause Follows Effect” finalizes the album giving the end to the space walk.